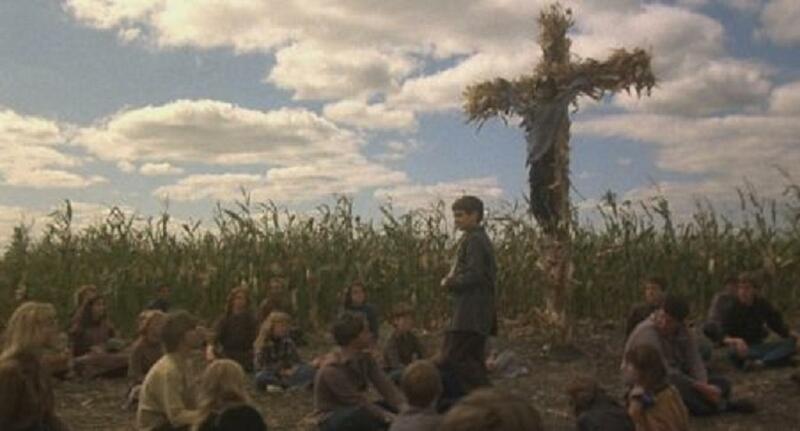 He who walks behind the rows is basically the god of the corn. he was said to be a native American god that seeks vengeance for the wrongs done to the earth. And what he looks like....Stephen king himself described He who walks behind the rows as some titanic green creature with red eyes 'the size of footballs' yet in the movies we see it primarily as a moving mound of earth that devours anyone caught up in it. however we also know that this god can possess individuals, appearing as Gabriel in part 6, and possessing the cult leaders in other movies.